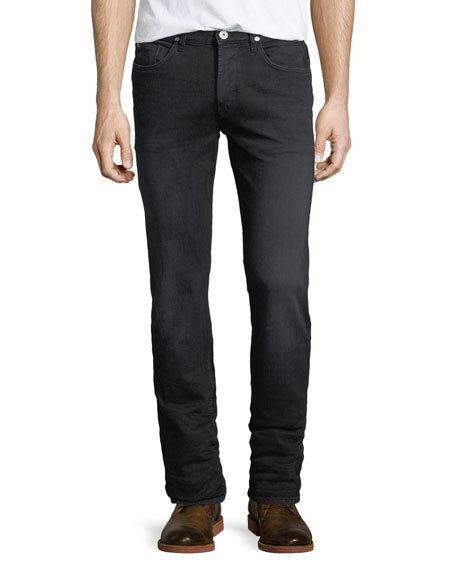 Hudson Jeans "Sartor" denim jeans in the Lowkey (dark) wash.
Approx. measurements: 10.8" front rise; 33.5" inseam; 14" leg opening. 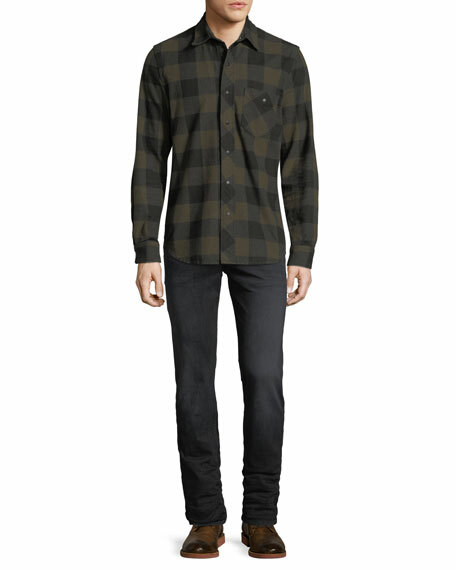 Slightly slouchy fit; straight legs. 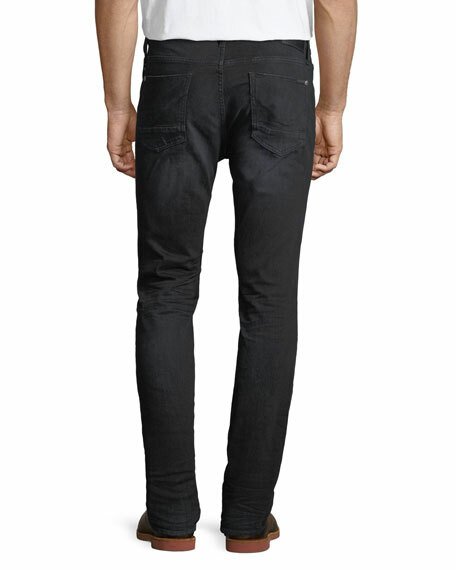 Balmain jeans in stretch-denim. Leg opening, approx. 12". Five-pocket style. Logo patch at back waist. Zip-details above knees. Slim fit through skinny leg. Hook and eye/zip fly; belt loops. Cotton/polyurethane. Made in Italy.